Manchester United lost their 100 per cent record in the Premier League against Stoke in Saturday's late kick off. 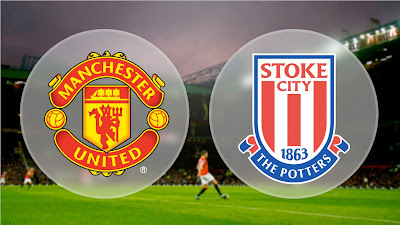 United were in great form before the game, having scored 10 and not conceded in the first three games but it was a tough task for Jose Mourinho's players who have still not won a league game at Stoke since April 2013. United's goals came from Marcus Rashford and Romelu Lukaku but unfortunately they couldn't get the winner they desperately wanted in a frustrating match for the defenders. Michael Carrick travelled with the rest of the squad for the evening kick off and made the bench. The four long-term absentees of Marcos Rojo, Luke Shaw, Ashley Young and Zlatan Ibrahimovic are still out and Marouane Fellaini also missed the game through a minor injury.